Get Five Boneless Fillets from your pike. 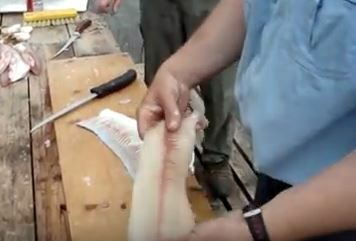 Some anglers struggle with northern pike fillets because of their unique “Y” bone structure that follows along the lateral line. Here is an interesting way to fillet pike made by Thundermist Lures that breaks a pike down into five distinct fillets. Check out this short video and let us know what you think!